Old Navy will be having Up To 90% off Winter Clearance Items In-Store starting 1/28 through 1/30! Check the Facebook page for another coupon. 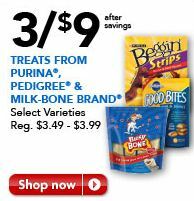 =$1 for six bags of dog treats after coupons! Or you can buy three, and get a small filler item to make your order completely FREE! Coastal Contacts will be giving away 10,000 pairs of free glasses on Friday, 1/28/11. You will have to pay shipping. 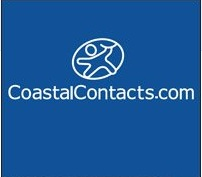 Go to the Coastal Contacts Facebook page and click the “like” button to reveal the coupon code. Next, go to their website and pick out your favorite pair of glasses. On January 28th, starting at 9:00 am EST, place you order and enter the coupon code at the checkout to get your glasses for free. Please be sure to read the terms and conditions carefully. Here is a new Pampers gifts to grow code worth 42 Points: VMF776C7HMXXT4A. ANOTHER FREE Pampers GTG 10pts code - Hurry! There's a new 10-point Pampers code available! Just head over to Pampers Gifts to Grow and enter 4WJDHKU4RPP6PT2. Expires 1/21/10. 25 MORE FREE photos from Office Depot!!!! * Print the coupon found here and present this coupon at time of purchase (you can also opt to enter the coupon code 26505297 in the promo field at checkout to have the prints shipped to you but you will have to pay for shipping charges). * You must order your prints by 1/15/11 for pick up or delivery by 2/1/11. 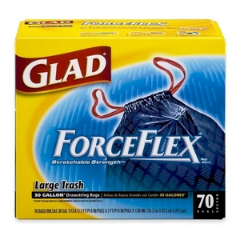 HOT High Value $3 off ANY Glad Trash Bags Printable Coupon. Print this now, the print limit will reach quickly! 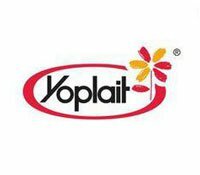 There's a new $.50/4 Yoplait Yogurt coupon available! If your store doubles coupons, this should make a great deal. 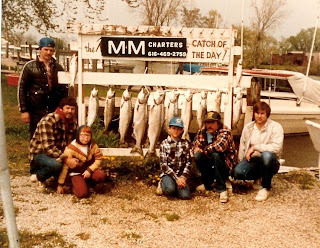 Scroll down the page to find the coupon link. Dollar General is offering a Buy One Get One Free coupon for StayFree products. Combine this with the Stayfree Buy 1 get 1 Free coupon from the 1/9/11 SmartSource. You will be able to get 2 for FREE! Trix Cereal for $1.88 a box! HURRY!!! Amazon currently has Trix Cereal, 10.7-Ounce Box (Pack of 6) for just $11.29 and ships FREE with Amazon Prime! Make sure you click where it says "More Buying Options" to snag this deal! Amazon changes their prices without notice. Hurry and take advantage of this! A new product, Cool Diaps are not only the trendy and adorable diapers… but they retail at a very affordable price!! They are also offering FREE samples! 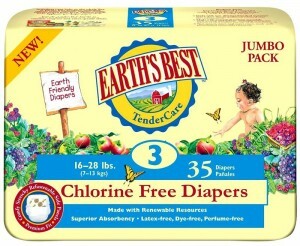 To get yours … just go to the Cool Diaps website and click on the FREE Sample link. When requesting your sample, please mention which of the three designs that you like the best … and also which size (M or L) that you prefer. (if you don’t select one… they will just choose for you!) These will be going on sale at Babies R US on 1/26/11. $20 of E85 Gasoline for just $10 at Thornton's! 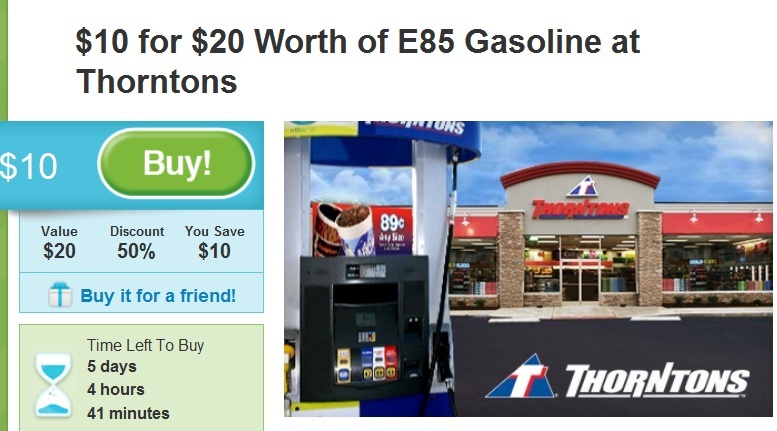 Groupon currently has a deal that is valid through 1/16/11 that is for $10 for $20 worth of E85 gasoline at Thornton's! What a great way to save on gas!!! This is limit one per person and your address is required to purchase it, so it may only be 1 per household. We go through a lot of lunch meat here. I found this and thought I'd share it with you. 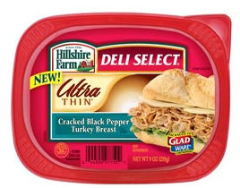 Save $1 off Hillshire Farms Lunchmeats Printable Coupons click the “get coupons” button on the left hand side of the page. When you click the link 2 Lunchmeat coupons will print. Also if you hit your backspace button you should be able to print the coupon 4 times. Here is a printable coupon for $1 off a box of Original Cheerios. You should be able to press the back button and print it twice. Also there will be a NEW 99¢ Sundays! This is where you can clothes and shoes from the current Color of the Week items every Sunday and only pay $.99 for each item. The Royal Velvet Signature White Down King Comforter is marked down 70% on Amazon to just $74.72!!!! This deal won't last! 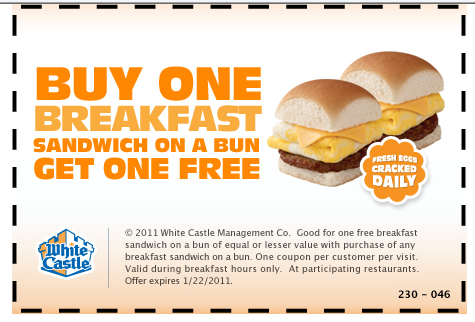 White Castle is offering a Buy One Get One FREE Breakfast Sandwich on a Bun Printable Coupon valid through 1/22/11. The Babies “R” Us store coupon is only good today. You’ll need to be a Rewards member to use the coupon, but you can sign up in-store for free, if you’re not one already. I caught myself telling Lilli to "go look it up." Well that wouldn't be such an issue if she actually had something to "look it up" in. We don't have a current dictionary in the house. I have one from when I was in middle school, which was quite awhile ago. So my husband and I have been looking for a cheap dictionary so she can learn that lost skill. All of the ones we have found are way out of our price range. We found the Franklin Pagemark Dictionary with Booklight, 80k words on Amazon for just $7.79 and ordered it for her. I know this isn't the way I wanted to teach her to look up the definition of a word, but this will work for right now. The Franklin Pagemark Dictionary with Booklight, 80k words retails for close to $60. It's currently discounted 87%! This puts it more in our price range!! Since this is an Amazon item, Amazon reserves the right to change the price without notice. Amazon has these Disney Toddler Coats for 50% off! They range from $25-$40. This is a great deal! 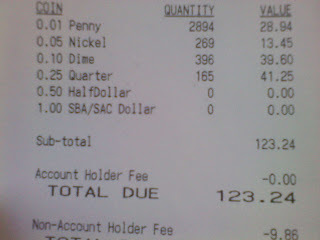 He had 2 $1 bills that brought his total to $125.24. 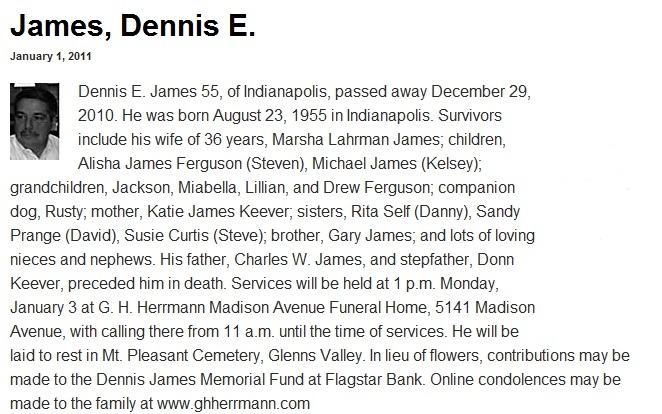 He said that Mia needed an account too and gave $25 of his money to his sister. 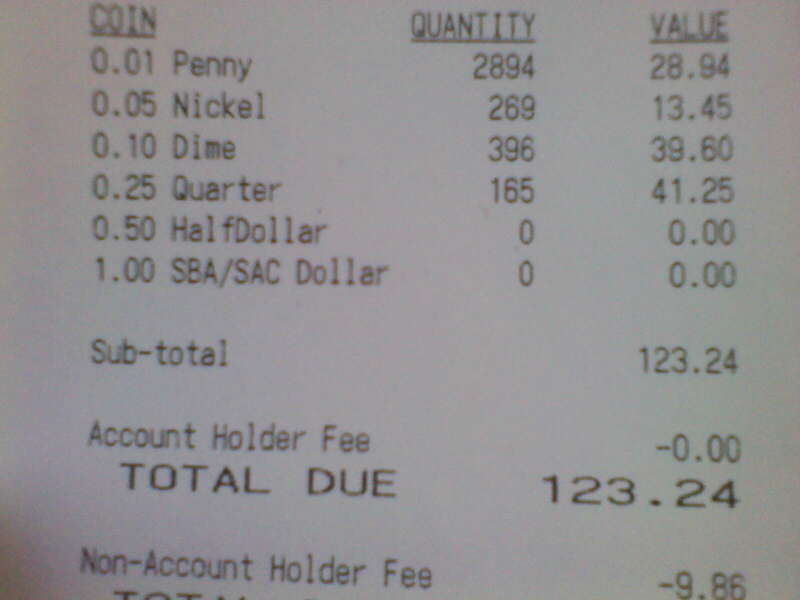 Our bank offers 2 kinds of account for kids their age. One was an account they couldn't touch until they were 18 and offered a matching system for our deposits. My husband and I agreed to do the free account and to let them chose how their money is spent and to not have to wait on it. Olive Garden is offering a printable coupon good for a FREE appetizer or dessert, valued at $9. Do you have a New Year's Resolution to lose weight and get in shape? Then take advantage of this Groupon! You must chose the location that you want to use. 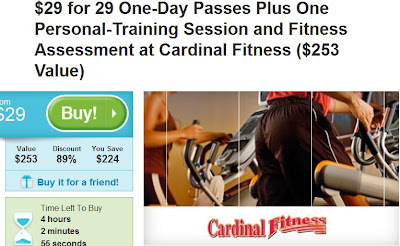 This offer is for new members only for Cardinal fitness. If your kids need some new clothes, then head on over here to print a coupon good for 40% off ALL clearance clothing and shoes that you can fit into an “R” reusable tote. These reusable totes are available in-store only and are limited to one bag per guest. Just present the coupon found here to Guest Services at your local Toys R Us/Babies R Us store to receive your FREE reusable bag (coupon valid thru 1/23/11). 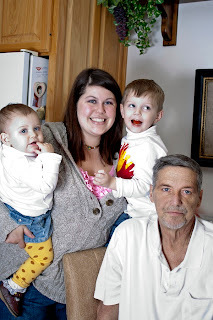 I have yet another new Pampers Gifts to Grow code to share with you! Just enter code F9779FYAHFJRYCN to score 10 more points!! 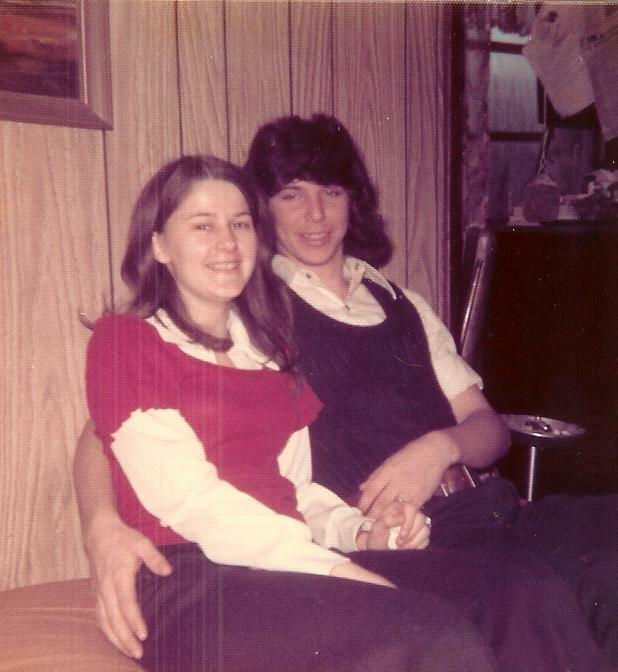 He had been married to the love of his life for 36 years. 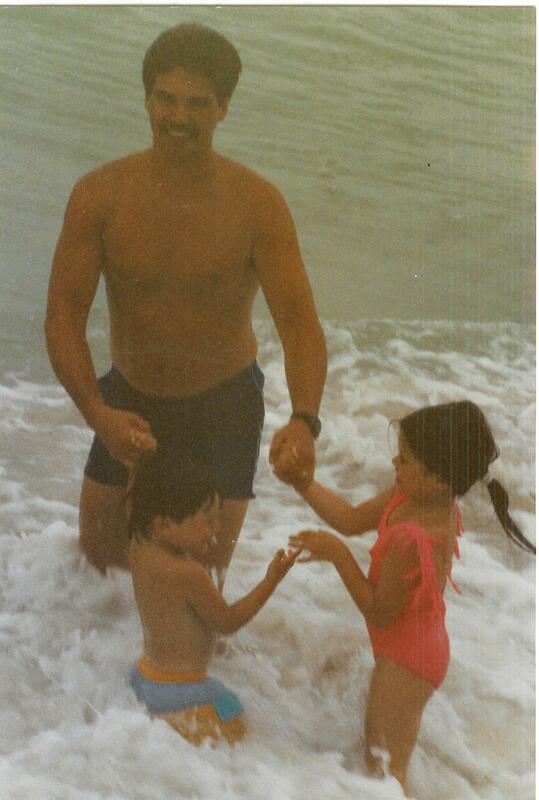 He had 2 beautiful children. I found these great baby deals on Amazon. Please remember that Amazon changes their prices rapidly. The price you see may vary. The First Years Compass Booster Seat, City Chic is on sale for 41% at just $58.85! The Stork Craft Monique 4-in-1 Stages Crib, Espresso is currently 57% off at just $133.54! The Stork Craft Heather Stages Fixed Side Crib, Cognac is currently 51% off at just $127.37! The KidCo Angle-Mount Safeway Gate is currently 48% off at just $59.95! The Burlington Baby Bassinet Combo with Baskets, White is currently 60% off at just $46.08! The Exergen Temporal Artery Thermometer Model # 2000C - Battery Included is currently 55% off at just $31.60! We paid almost $75 for ours! The Levana BABYVIEW20 Interference-Free Digital Wireless Video Baby Monitor with Night Light Lullaby Camera is currently 62% off at just $129.95!